For nearly 20 years, Brewer Science has licensed its ARC® material technology to Nissan Chemical. 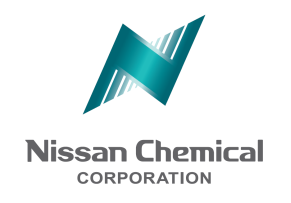 In April 2015, Brewer Science, Inc., and Nissan Chemical Corporation, Ltd., formally extended their business relationship through 2028. This joint agreement focuses on business continuity for customers in Asia by leveraging the combined strengths and resources of both companies. Customers in Asia are now guaranteed an uninterrupted supply of advanced ARC® and OptiStack® products under a new joint label. The technical and manufacturing collaboration between Brewer Science and Nissan Chemical further ensures that customers in Asia will continue to be supported with an expanding portfolio of world-class products and services. ARC® anti-reflective coatings, or hard-mask materials, are used beneath photoresist. More specifically, BARC, multi-layer, under-layer for EUV, and EB are ARC® coatings. OptiStack® technology consists of a multi-layer system of products that combines simulation software with patterning materials to provide an integrated lithography solution. For more information, check out our contact us page or call one of our global offices. *ARC and OptiStack are registered trademarks of Brewer Science, Inc.